As you can see, the screen is looks very similar in setup to the screen of the game Joust. 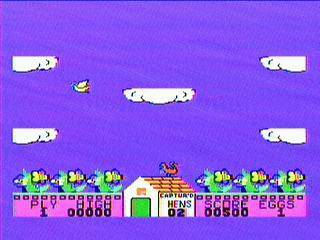 Much like Joust, the goal of the game was to make contact with your opponents (the yellow chickens) when you were above them on the screen. If you were sucessful, the other chicken changed into an egg and you would have several seconds to touch the egg and 'kill' the opponent before he would change back into a chicken again. 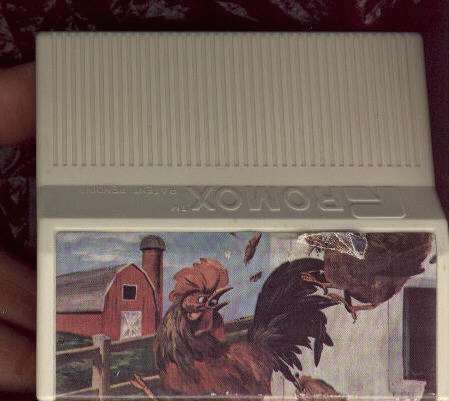 If you were able to change all of the opponent chickens into eggs and then 'kill' the eggs, you finished off that level. 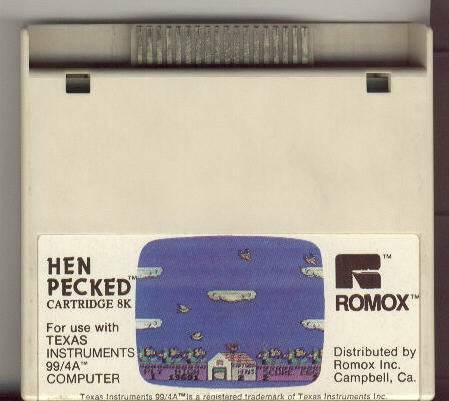 As the levels increased, so did the number of opponent chickens. 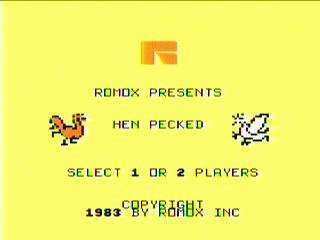 Movement of your chicken was accomplished with the joystick and you were able to make him 'flap' by repeatedly pressing the joystick button.